So What is Done With a Bonded Sealant? Here at AHAH, we can apply an acrylic sealant to your pet's broken tooth surface to seal the dentin tubules, protecting them from bacteria. Sealing the tubules can prevent an infection that will result in a root canal or surgical extraction. First, the tooth is examined and probed to be sure the root canal has not been opened. 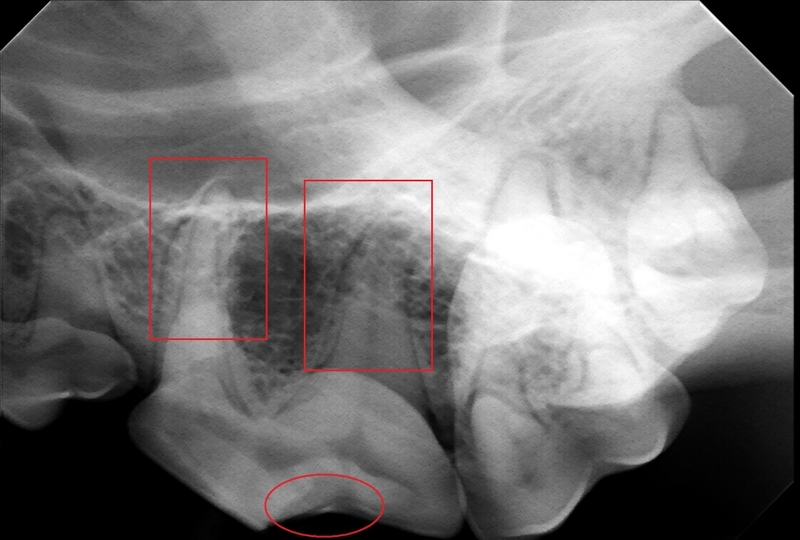 Next, a radiograph is taken to visualize the root (red rectangles) to be sure that an abscess has not already formed (red circle is fracture site). Then, the fracture is smoothed with a course grinding stone. Then, the fracture is smoothed with a series of four increasingly fine polishing disks. Once the fracture site is smooth, a phosphoric acid etch is applied to prepare the tooth for bonding. After the etch is removed, a bonding adhesive is applied and light cured. Finally, the acrylic sealant is applied and light cured. Your pet can return to his normal diet immediately. We just strongly recommend against hard chew toys. 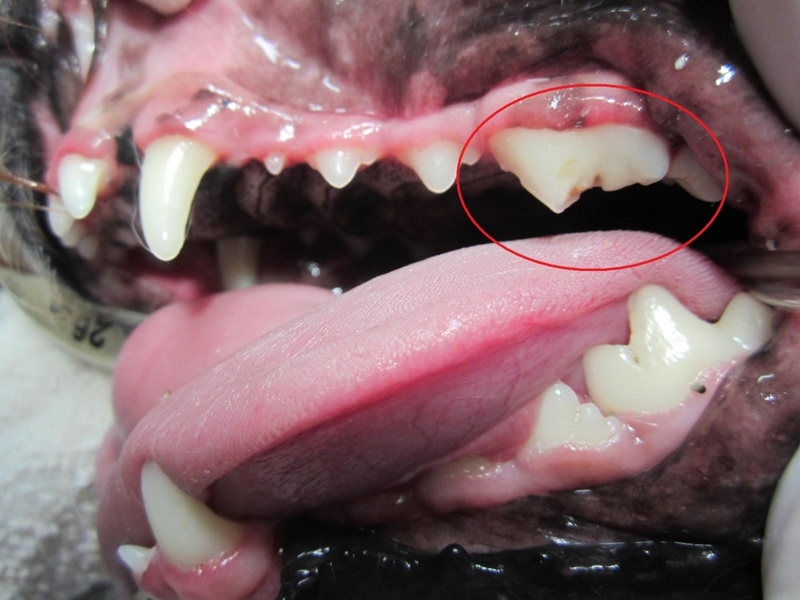 By the time this sealant breaks down in 6-12 months, your pet's tooth will have naturally filled in the dentin tubules. Every sealed tooth needs to be re-radiographed in 6-12 months to be sure that the root is still healthy!